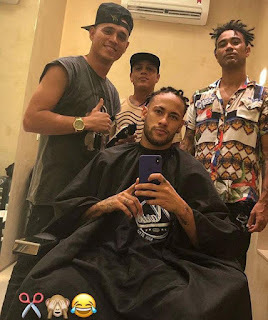 Football Star, Neymar has shown off his new dreadlocks haircut. The injured Paris Saint-Germain star is currently sidelined with a foot problem. He has undergone surgery on the troublesome toe. And Neymar has decided to kill some time by getting his barnet done. 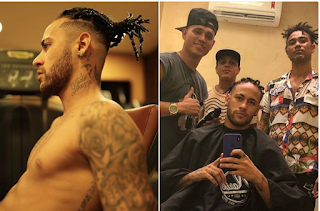 The Brazilian, 26, posted a picture on Instagram showcasing his new locks. Neymar was surrounded by three other men as they all posed for his picture. The PSG ace is currently injured with a foot problem. 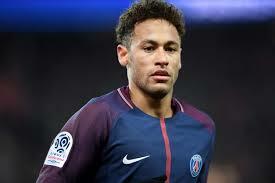 Whether Neymar decides to keep the new look when he returns to action remains to be seen. The former Barcelona ace is known for his short hair which is sometimes dyed blonde.